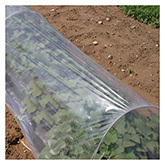 Floating Row Covers are used to insulate plants from cold weather, diffuse light and protect crops from weather damage. 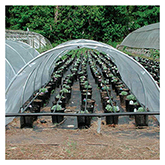 They are recommended for use on row crops, but can be cut to fit container plantings, shrubs and other temperature sensitive plants. 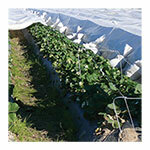 Floating row covers differ from shade cloth in material and usage, so use each accordingly. 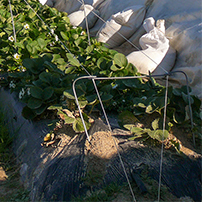 Place drip irrigation or soaker hoses underneath row covers. Place the row covers early in the season to extend your growing season and keep pest insects from laying eggs in the cultivation area. 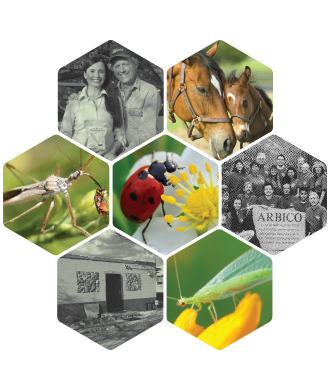 This is helpful in reducing the incidence of pest infestations. 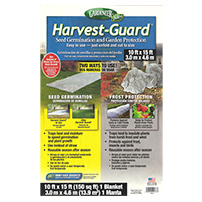 If you use row covers to extend the growing season, place them in late summer or early autumn.